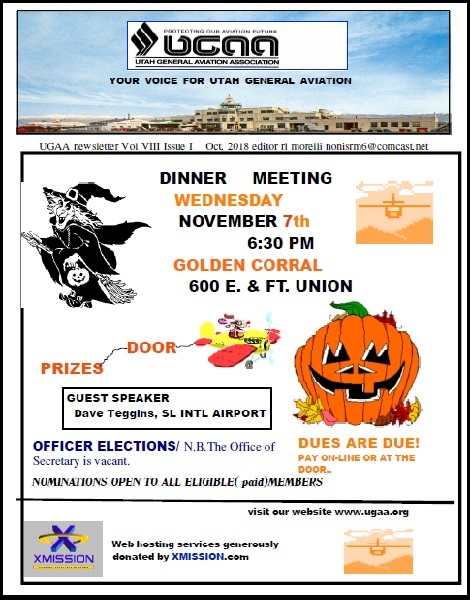 Thank you to all who attended our UGAA Dinner Meeting and Election of Officers, November 7th at the Golden Corral in Midvale, Utah. 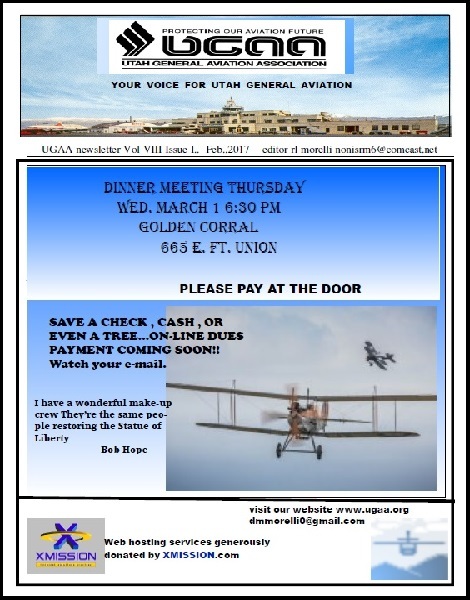 Thank you to our speakers: Jared Esselman, Director of the Utah Division of Aeronautics & Dave Teggins, General Aviation Manager of the Salt Lake City Department of Airports. Special Thanks to The Staff at the Golden Corral in Midvale, Utah. 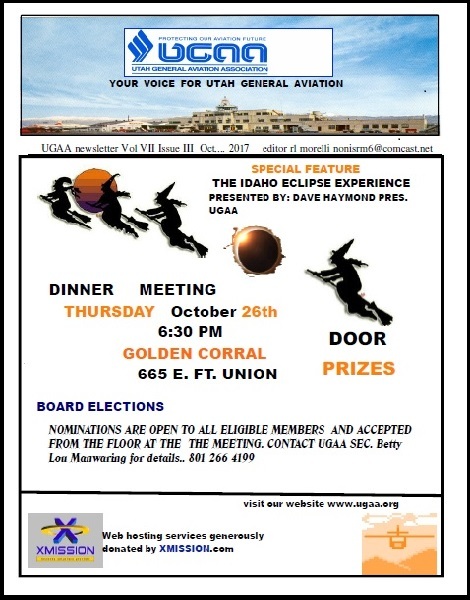 The next UGAA Meeting will be announced the first quarter of 2019.